Home » Why One Health? Worldwide, nearly 75 percent of all emerging human infectious diseases in the past three decades originated in animals. Environmental health may affect human and animal health through contamination, pollution and poor conditions that may lead to new infectious agents. The world population is projected to grow from 7 billion in 2011 to 9 billion by 2050. To provide adequate healthcare, food and water for the growing global population, the health professions, and their related disciplines and institutions, must work together. The human-animal bond beneficially impacts the health of both people and animals. 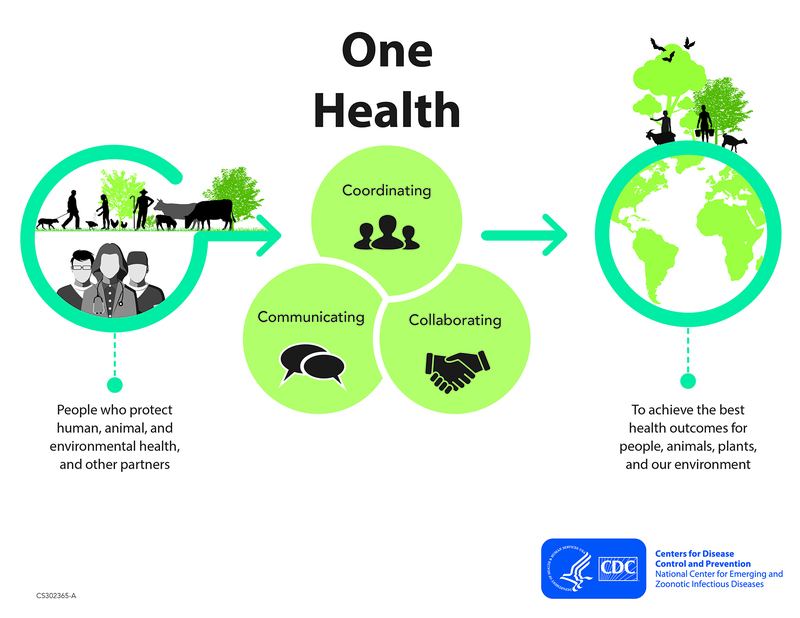 One Health is a collaborative, multisectoral, and trans-disciplinary approach - working at local, national, and global levels – to achieve optimal health and well-being outcomes recognizing the interconnections between people, animals, plants, and their shared environment.